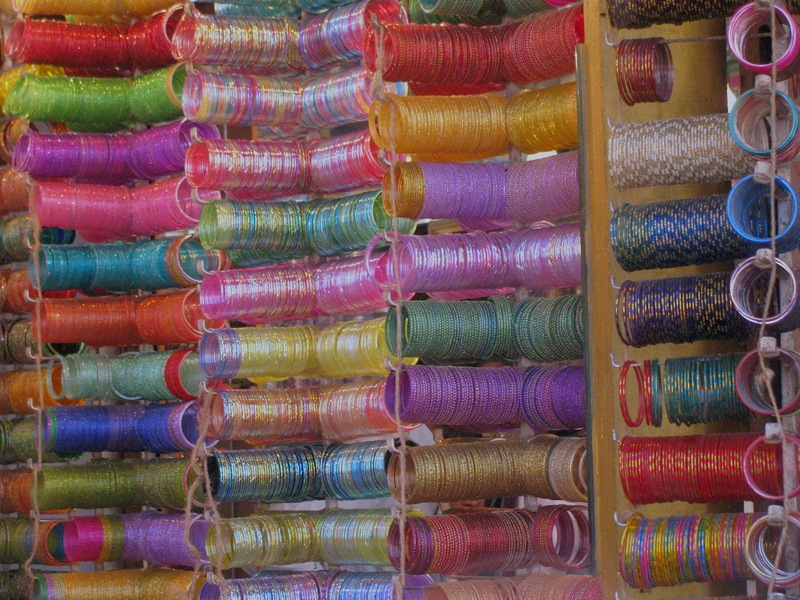 Ticking the Bucketlist » Hyderabad: Bangles in Technicolor! The past few months have taken me to cities that continue to reflect the glorious past of the Nizams and the Nawabs. We were in Lucknow in December, in Aurangabad in January and I was lucky to spend a few days in Hyderabad earlier this month. The cultural fabric that runs through these cities is so similar. Visiting these three cities one after another was serendipity playing around. Reading more about India’s history that binds these geographically distant cities was my way of playing along. The posts on a long weekend in Aurangabad are overdue and I promise to get them out real soon. However, as I walk the streets of Hyderabad and fill my bag with goodies, I cannot help but write this post out for my lady readers who share an interest in my favourite sport – Shopping. Gentlemen, I would urge you to read on as well. Shopping for that special lady in your life would be a great idea, wouldn’t it? My corporate life does not let me wear technicolor bangles everyday. What a pity! This does not stop me from buying them. 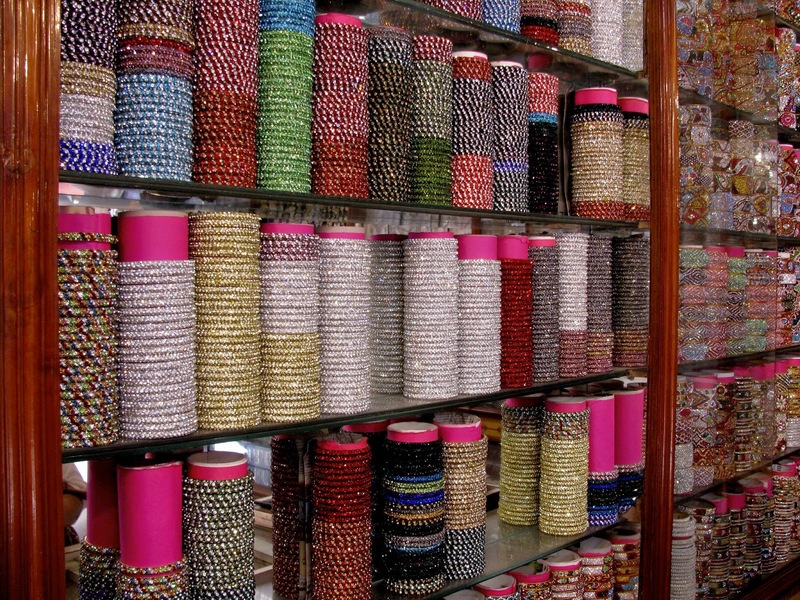 I have plenty and plenty of bangles…glass, metal, lac and wood… I have them all… and I still want more! My bangle box is an apt gear for a little kid to learn colours and counting. How could I resist shopping at the ‘Laad Bazaar’ in Hyderbad? I had to add to the collection and off I went into this shimmering, shining, colourful world. I didn’t know where to start and where to stop! There was the classy stuff and the chunky stuff…. there bright and glittering bangles for the newly married and there were there sober looking bangles for the grannies. There are tiny shops and bigger boutiques. I have no clue how two hours went by… but my wallet and shopping bag surely did have a clue – my wallet was lighter and my bag was heavier. I was a happy soul… that’s what matters… doesn’t it? 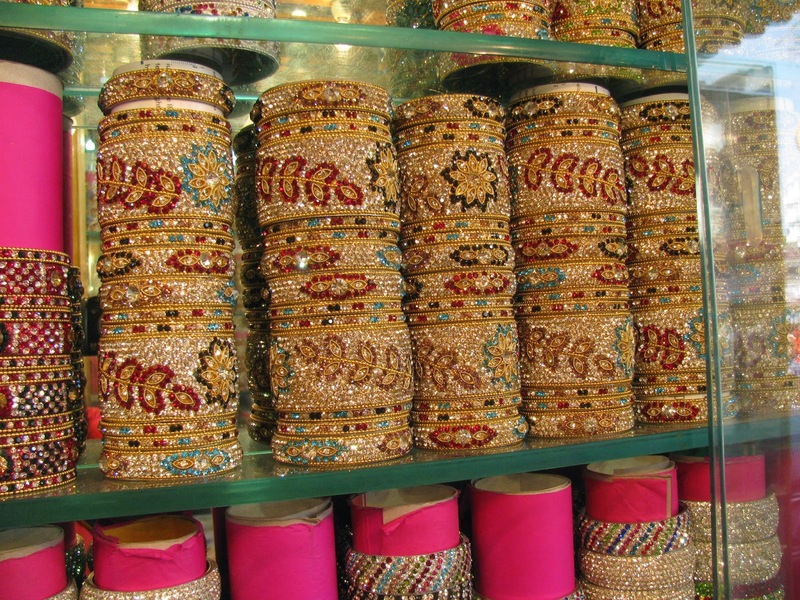 Where can you buy lac bangles? The bangle market or churi bazaar, locally known as the laad bazaar is a lane close to Charminar – hop into a taxi or an auto to get here. This place is quite some distance away from the cyber city in Hyderabad. Make sure you to get your bearings right on Google Maps. Timings: The market is open from 11 am to 11 pm. There is so much variety…suggest you budget at least an hour for figuring out the various kinds of bangles and at lest an hour more if bargaining is you thing. Bargaining Strategy: In this market, make bargaining your thing! Start by quoting 40% of the price that is offered and if you stay on in the bargaining game and play it well, you will leave with your at 50-55% of the quoted price! Prices start at INR 300 for 6 bangles and move upward depending on the finesse of the product and material used. Bangle Types: The traditional bangles are made of lac only and break on a strong impact. As these are made the ‘traditional way’, they are more expensive than those that are made with a metal base. However, the ones with a metallic base are sturdier. The metal is low quality steel/iron or brass, the latter being better. Sizes: Bangle sizes in India are quoted as diameter of the bangle in inches (2.4, 2.6 and so on). If you are buying a wide bangle (over 0.75 in width), suggest buying a size bigger than the size of thin bangles that fits you. Guys….are you reading? Take the right thing back! What to wear: Women shoppers, suggest that you dress modestly when you go here as the laad bazaar is part of the old town. 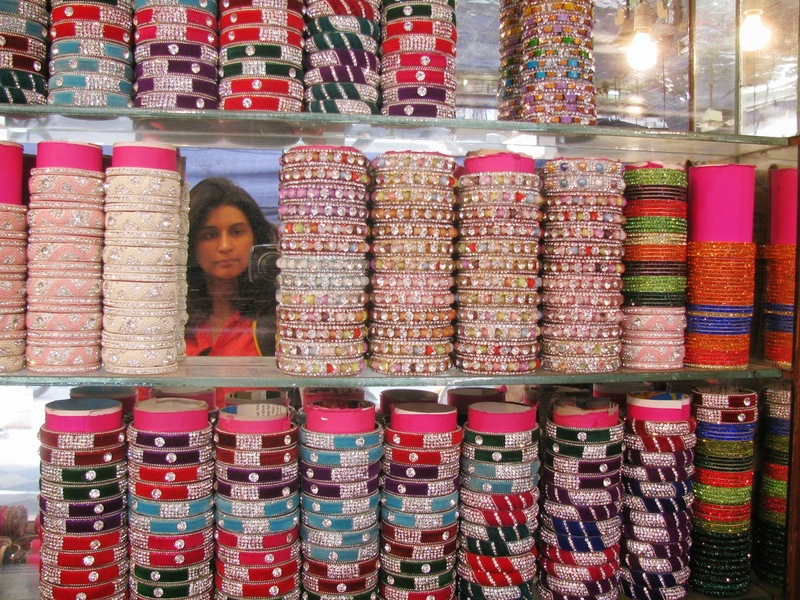 Have heard Charminar is a great place to shop for bangles as well. Will find out more on my trip next week. Of course, Laad Bazaar, too, here I come ! Shweta…the Laad Bazaar is at Charminar….Its the same place that you are referring to! I ain't too great either. Our taxi driver gave us the pointers before we went on the shopping spree! 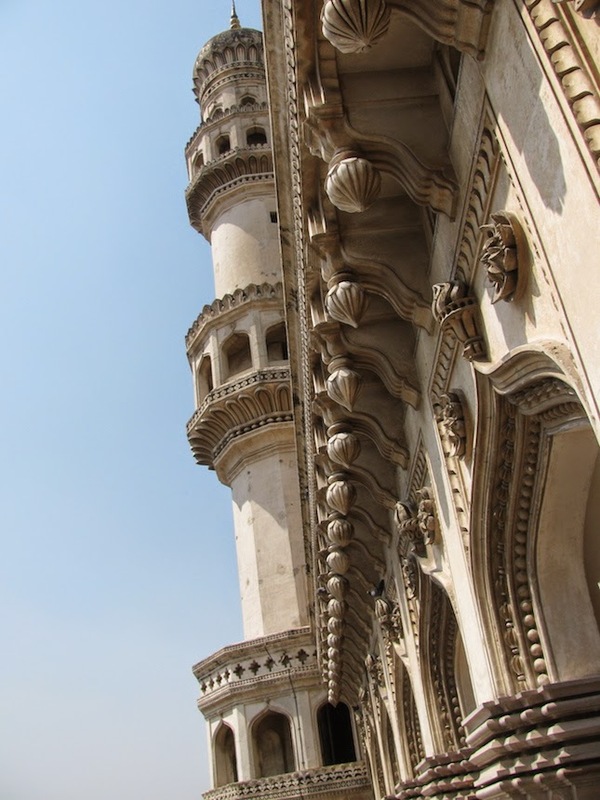 You must visit Lucknow and Hyderabad….they have an unparalleled charm!